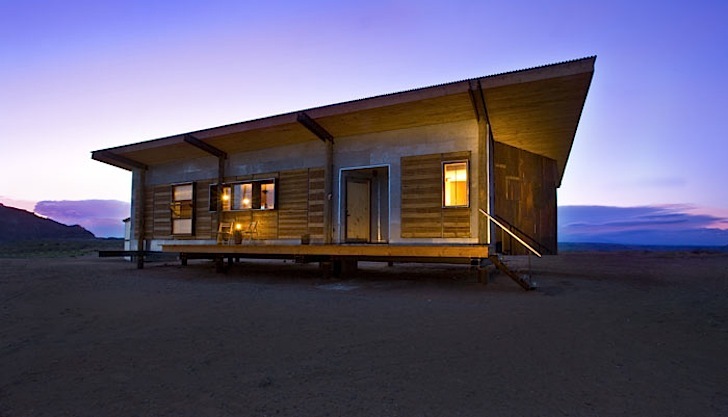 Design Build Bluff built this charming off-grid home for a mother of four in Utah. Suzie Whitehorse fled her alcoholic husband and moved into a tiny rammed-earth domed shelter on the Navajo reservation, but the tiny hogan was not suitable for a growing family. So the Utah Graduate College of Architecture and Planning stepped in. Using mostly earth, salvaged materials, and traditional building techniques, 18 graduate students put together a beautiful new home complete with solar panels and a rocket stove that has instantly given Suzie and her children a whole new lease on life. 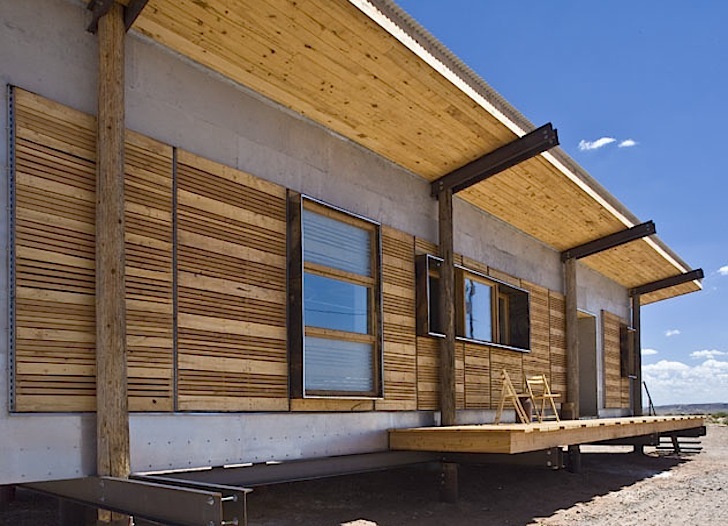 With a footprint of just under 1,000 square feet, the new house was constructed using clay, sand, straw, and water bricks clad in recycled sheets of aluminum, and then accented with recycled shipping pallets. 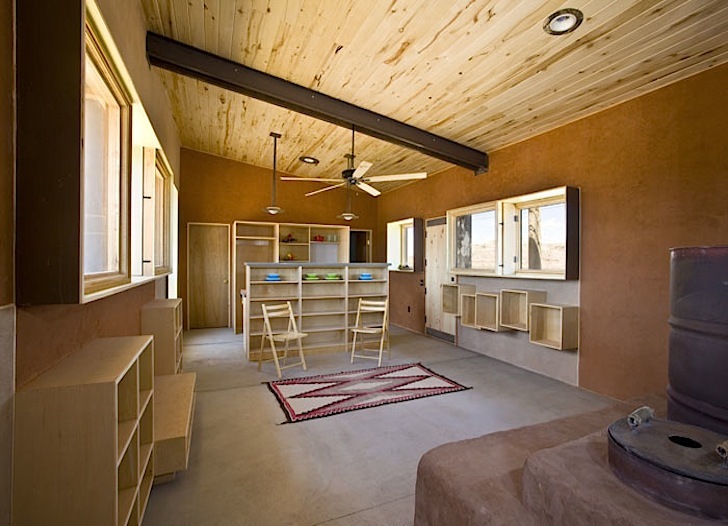 It gets hot and dusty on the reservation in the summer, so the design team raised the house four feet off the ground with recycled telephone poles, which encourages wind-swept sand to settle below and cool air to ventilate the home naturally. 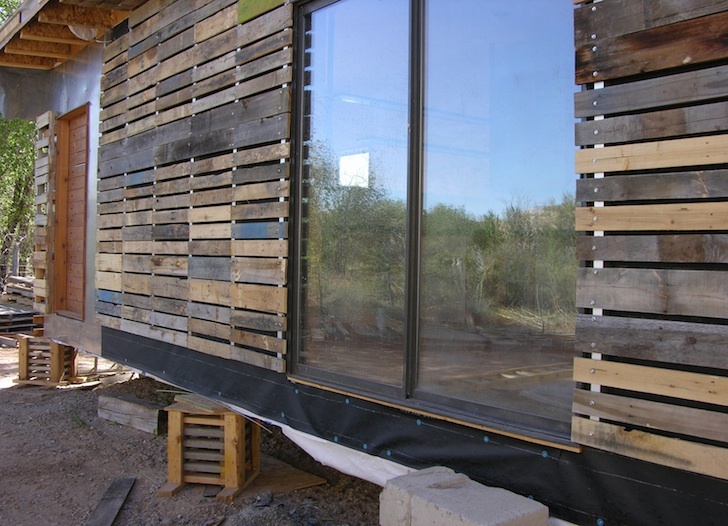 Absolutely no mechanical systems are required to keep the house either cool or warm. 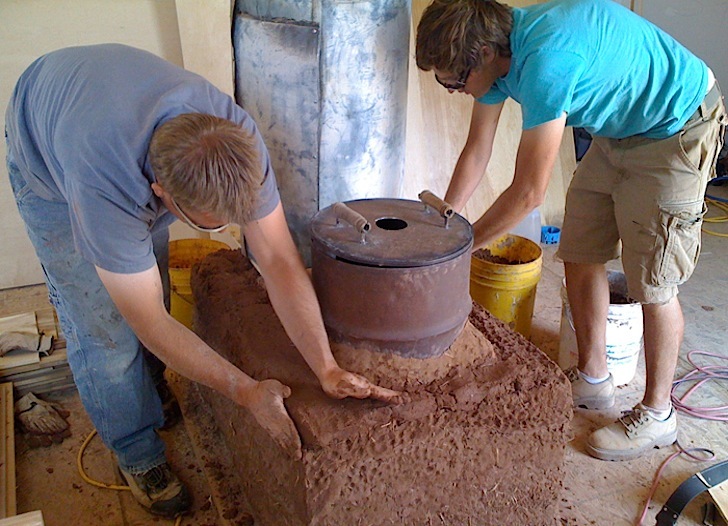 During winter, the desert quickly becomes cold and hostile, so the team built a wonderful rocket stove powered by small bits of kindling that heats up the whole house in a jiffy. The southern exposure is glazed for optimum solar gain, in-floor radiant heating provides more warmth if needed, and vertical solar panels heat water. Finally, a gutted roof harvests rainwater, which is stored in a 2,000 gallon cistern buried underground. 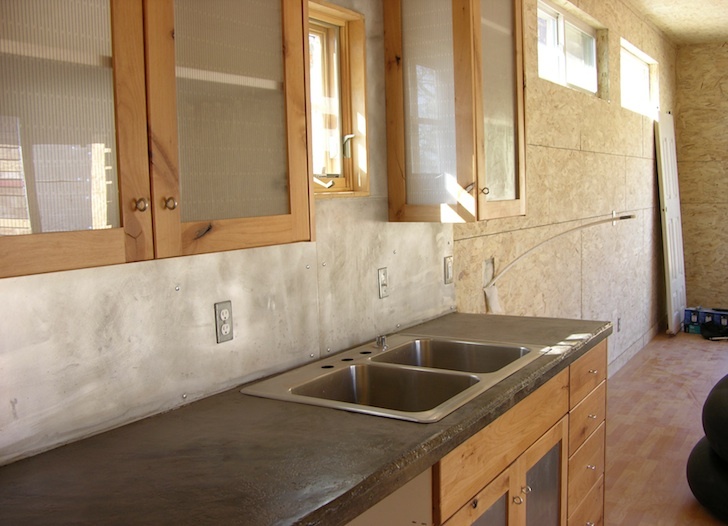 Please read our interview with Design Build Bluff’s founder Hank Louis to get a sense of other inspiring projects that have transformed the lives of lucky people like Suzie Whitehorse. @Marko Yup. No cell phones, no video games, no noise, actually having to use your imagination, reading, interacting with your environment, relying on other folks and in turn supporting them. Having your body rhythms attuned to the earth, knowing how to support yourself with local resources. Oh, those poor kids. They'll probably grow up to be whole persons you'd love to know. poor four kids having to grow up in the middle of nowhere! And vertical solar panels heat the home's water! What a beautiful story, right? 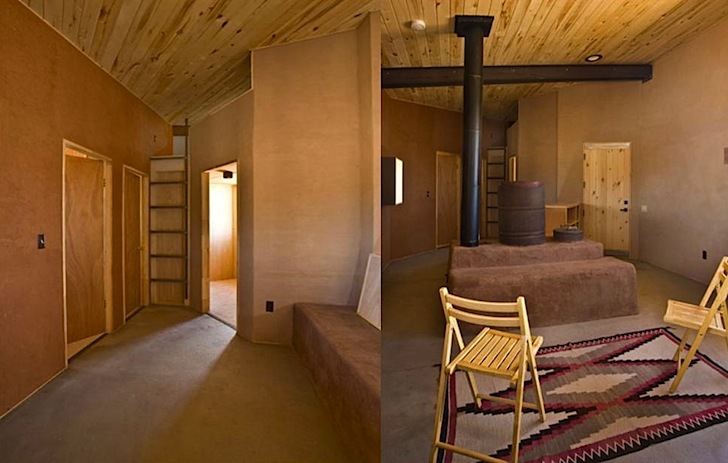 Navajo mum gets a new lease on life with this passive-solar house.